Call of Duty: Modern Warfare Remastered is officially getting a standalone release following an a recent announcement from Activision. In a decision that is sure to bring some relief to the small group of people who held out on purchasing the Legacy or Legacy Pro editions of last year’s Call of Duty: Infinite Warfare, the rerelease of Modern Warfare will arrive on PS4 both digitally and in retail stores tomorrow, June 27. But that relief will be short lived once I tell you that the standalone game will cost you a stonking AU$69.99 (or USD$39.99). That’s a pretty ridiculous price when you consider the original game is 10 years old, the remaster has shoehorned in microtransactions, it doesn’t include the extra, equally overpriced DLC, and you can pick up the Infinite Warfare Legacy Edition bundle from JB Hi-Fi for the exact same price right now. Activision making a stealthy retreat. While there certainly will be competitive pricing on the retail edition of the game, no Australian retailers have listings online showing they’ll be stocking it, so for the time being the full RRP Playstation Network option is the only one Aussies have to grab it sans Infinite Warfare. 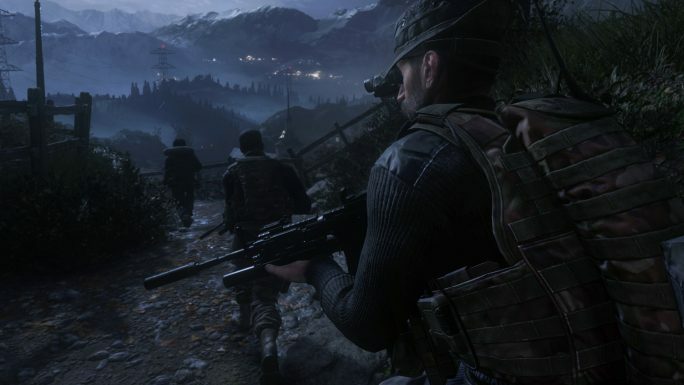 Activision’s press release mentioned that while the PS4 version of Modern Warfare Remastered drops tomorrow, “other platforms” will follow at an unspecified time. So I guess it’ll be a while before I find out if I could have avoided all the hassle I went through last December trying to get as a PC copy of Modern Warfare Remastered. But after this pricing news, the fact I got two games rather than one probably made it worth it. Choke on your beverages over pricing with Tom on Twitter: @tomdheath. Be sure to follow LoadScreen on Twitter: @load_screen and Facebook.